Here you will find a diverse mix of educational and cultivation offerings which have been designed in direct response to member feedback. If you’re interested in serving on the Program Committee to assist in future planning, email cbattle@handhousing.org. NOTE: This session has reached capacity. Please direct any questions to info@handhousing.org. 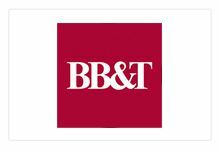 Thank you to our sponsor, BB&T! Voter Registration | A Nonprofit’s Guide to Success! Since the beginning of the Civil Rights movement, voter engagement efforts have played a vital role in our democratic process. Unfortunately, both low-income and minority citizens have historically been and remain underrepresented in the electoral process. In fact, only 33% of the low-income population in the U.S. is registered to vote. By encouraging residents in our communities to register to vote and ultimately cast their ballot, we can ensure that the voices of all are reflected in major public policy decisions. In lieu of an in-person training, we’ve created a digital classroom, “Voter Registration | A Nonprofit’s Guide to Success” where members can download resources from Enterprise Community Partners, National Low Income Housing Coalition, the NAACP, Klein Hornig and Arlington Partnership for Affordable Housing (APAH) highlighting best practices to host voter registration drives within affordable housing communities. You can access course materials here. Thank you to our partners who were instrumental in organizing these resources, Virginia Housing Alliance and APAH! 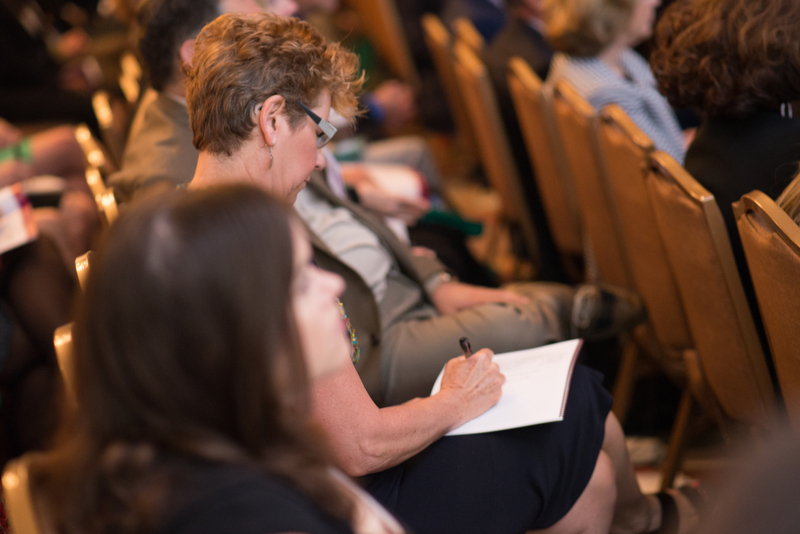 In the midst of a national affordable housing crisis, it is critical for practitioners – both seasoned experts and emerging leaders – to stay abreast of the latest updates, resources and best practices for creating and preserving affordable housing. On September 27, 2018 from 5:30 pm – 7:30 pm at Cloyd Heck Marvin Center, 800 21st Street NW, Third Floor Amphitheater, Washington, DC 20052, join GenerationHAND for a timely discussion on innovations in the affordable housing industry in partnership with GWU’s Center for Real Estate and Urban Analysis (CREUA) and KeyBank. This dynamic program will feature industry leaders engaging in a thoughtful discussion on proven strategies in the areas of services, construction and financing. The panel will also include an overview of the current state of affordable housing. Registration fees: This event is free to current HAND Members and Non-Members. You asked and we listened! After receiving consistent feedback from HAND members that you’d like more networking opportunities, we are pleased to host the 2nd installment of the Mix & Mingle! Join us on October 2, 2018 from 6-8pm at Busboys & Poets, 2021 14th St NW, Washington, DC 20009 as we reconnect with HAND members and invite new colleagues into the fold. We encourage all current HAND members to invite individuals who you feel would benefit from HAND membership. A prize will be awarded to any individual or organization who joins HAND on-site! Good workout. Good company. A GREAT cause! Join GenerationHAND for a cycling class (with a little SOUL) to support students pursuing careers in real estate and community development! On Thursday, November 8, 2018 we will ride from 7:30-8:30pm (check-in begins at 7pm) at SoulCycle Mount Vernon, 601 Massachusetts Ave NW, Washington, DC 20001. Funds raised will directly support scholarships awarded to graduate students studying real estate, urban planning and other fields within community development. This event is open to all- HAND members, friends of HAND, colleagues, neighbors and any individuals who may be interested in getting involved with our organization! If you know of a graduate student who would benefit from the scholarship, please direct them to fill out an application here. The recipients will be honored at HAND’s Annual Holiday Mixer in December. GenerationHAND is an initiative designed to exclusively support practitioners who are on the rise within the affordable housing and community development industry. The goal of the initiative is to provide needed tools and guidance to emerging leaders as they pursue successful careers in the public and private sector. Through a wide variety of dialogues, panel discussions, volunteer events, and professional development activities, GenerationHAND strives to embolden practitioners and establish a pipeline of leaders who will serve as the next generation of changemakers working to create strong communities throughout the Washington region. Spots will go quickly, so reserve yours TODAY! Want to share the event with your network?Download the flyer here. Thank you to our sponsor, the Beatrice Perkins & Bettye Uzzle Memorial Fund! Registration fees: This event is $40 for all riders/donations. Join us for HAND’s upcoming Green Building forum, featuring Washington Gas, John Marshall Bank, government agencies from around the region and many other partners for updates on all things green! Whether you are looking to learn about DC or Montgomery County’s Green Banks, updates to the PACE program, implement energy upgrades for your property, or maximize incentive and rebate dollars, this session will help you ensure that your green building strategy makes sense for your development. “Regional Updates on Energy Efficiency and Affordable Housing” will take place on December 6, 2018 from 9:00 am – 12:00 pm at John Marshall Bank, 1401 H Street NW, First Floor Conference Room, Washington, DC 20005. Register today to hear from utility companies, green banks around the region, investors and other practitioners on how to take advantage of the resources available while also improving economic development in our communities. Continental breakfast will be served. Thank you to our sponsors John Marshall Bank and Washington Gas! It’s the most wonderful time of the year! Join HAND for its annual Holiday Mixer on Thursday, December 13, 2018 from 6-9 pm at 1000 Maine at The Wharf in Washington, DC. Guests will have the opportunity to mix and mingle with colleagues while celebrating HAND members who are working to create vibrant, thriving communities across the Washington metropolitan region. Thank you to our sponsors Washington Gas and Bank of America Merrill Lynch! Registration fees: This event is free to current HAND Members; Non-Member Fee: $100. Thank you to our sponsor DC Housing Finance Agency! Join HAND on February 13 for an interactive training on Opportunity360, an innovative platform launched by Enterprise. Are you a project manager who wants to ensure the community space in your development truly addresses issues within the community in a thoughtful manner? Or a Resident Services Manager who has been tasked with creating a resident services model? Opportunity360 provides a comprehensive approach to understand and address community challenges, identify pathways to greater opportunities using cross-sector data, and features 40 community engagement and measurement tools! With this information, you and your team can be better positioned to make smart investments and create collaborative solutions that transform your community. Don’t forget your laptops, as attendees will be able to participate in live-demos during the session. We are pleased to have Andrew Masters, Strategic Partnerships Manager of the Knowledge, Impact and Strategy Team at Enterprise join us for this session, during which he will introduce you to the tool, and demonstrate how you can use it to design meaningful programming for residents in the communities you serve. Did you know that the development of nearly 1,000 affordable homes in DC has been stalled since 2012? In the midst of a national crisis, this delay not only hurts individuals seeking decent, affordable housing, but also the communities where they reside. On April 3, join HAND for The State of the Region: Real Estate Trends, Market Conditions & Challenges. The session will begin with an informative presentation by Dr. Lisa Sturtevant of LSA, who will delve into current trends in the regional economy and housing market, in addition to an analysis of the factors that will impact housing supply and affordability in the Washington area in 2019. Following her presentation, a panel of experts will discuss an ongoing challenge in DC that has set back countless developments in recent years: lawsuits brought against the DC Zoning Commission for approving a planned-unit development (PUD). PUDs are one of the keys to unlocking increased affordable housing within a project and critical community benefits. Operating without PUDs could have serious consequences for housing affordability and the vitality of our communities. Partners representing the government, development and legal spaces will weigh in on this hot topic, their personal experiences and the strategies in place to address this pressing issue. Continental breakfast will be served. Thank you to our sponsor Nixon Peabody! Specialized projects: seniors, homeless, disabled, veterans, etc. Noah Hale, Director of Development, TM Associates Inc.
Deborah Norris, CPA, Director, Hertzbach & Company, P.A. Continental breakfast will be served. Thank you to our sponsor Bozzuto! For individuals and families who face life’s most difficult challenges, supportive housing is a proven solution that helps provide a renewed sense of security, autonomy and dignity. By combining affordable housing with critical services, this tool improves housing stability, employment, mental and physical health, school attendance and reduces active substance use. Not only does supportive housing improve quality of life for the most vulnerable populations, but it also leads to positive community outcomes at greater cost effectiveness. With mounting evidence demonstrating this success, more and more communities and sectors are looking to make investments in supportive housing projects. The key to making these investments work is building effective partnerships between all of the players involved – real estate developers, property management firms, and service providers. Join HAND on April 16 for “Creating Strong Partnerships for Supportive Housing Developments | Developers, Service Providers & Property Managers.” This exciting program will break down the language barriers between partners, provide the key ingredients for quality supportive housing, and explore local and national innovations in the development of supportive housing. Continental breakfast will be served. 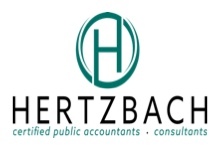 Thank you to our sponsor Hertzbach & Company, P.A.! Continental breakfast will be served. Thank you to our sponsor Hooten Construction! Thank you to our sponsor Hamel Builders! 9-4 Twinning has arrived in the DMV—join us to see where it is going! On May 14, HAND will convene a seasoned group of professionals to discuss what each of the three jurisdictions are doing to implement and encourage twinning, to consider both existing and innovative bond structures that are best paired with deal and the jurisdiction and how to tailor the tax credit terms to best serve these unique financing structures. This is an Advanced Training and assumes working knowledge of twinning and the programs from the jurisdictions. Lunch will be served. Thank you to our sponsors Capital One, Hudson Housing Capital, Klein Hornig and Tiber Hudson! John Welsh, Vice President, Multifamily Group, AHC Inc.
Continental breakfast will be served. Thank you to our sponsor CohnReznick LLP! HAND is pleased to partner with the Institute of Real Estate Management (IREM) to host Ethics for the Property Manager. This foundational course is designed to help property management professionals excel in their everyday operations. How you respond to ethical challenges has a large impact on your long-term personal reputation and success. But being ethical is not just a matter of following the law – it’s meeting the standards and expectations that govern the real estate profession. Professional ethics matter, and people pay attention. Register today and learn to tackle ethical dilemmas head on! Get a full overview of the IREM Code of Professional Ethics, including the study of actual ethics cases and their implications. Tactics and strategies to resolve ethical dilemmas. Avoiding Conflict: Identifying factors that contribute to conflicts of interest so you’ll know when to avoid them.